Blackstrap molasses is the byproduct of the sugar refining process. It is produced from the third boiling of the sugar, and is therefore thicker and more nutrient rich than molasses made from the first or second boiling. Blackstrap molasses has a bittersweet taste, reminiscent of gingerbread, and contains many health benefits as well. Blackstrap molasses is one of the few sweeteners that are actually good for you. Unlike refined sugar or artificial sweeteners, blackstrap contains several important nutrients. In addition to being a simple carbohydrate, which can be quickly converted to energy, blackstrap molasses also contains high levels of iron, manganese and copper, all of which can translate into an energy boost for those with low iron levels. Menstruating and lactating women in particular are at danger of having lower levels of iron, which can lead to fatigue. Blackstrap molasses is one way to help correct an iron deficiency. If you have trouble taking in enough servings of dairy to help provide you with enough calcium, blackstrap molasses can be a helpful addition to your diet. Just two teaspoons of blackstrap will give you nearly 12 percent of your daily need for calcium, as well as some magnesium, which is needed to help absorb the calcium properly. Blackstrap molasses contains several nutrients that are linked to better sleep, such as calcium, magnesium and B-6. It also has a high glucose count, which has been tied to higher tryptophan levels; the natural chemical that makes you feel tired. A high glucose, rather than sucrose, count may also help to boost serotonin levels in the brain, leading to better sleep. While there is no scientific research to back this up, many people take one to two tablespoons of blackstrap molasses everyday as a cure for gray hair. The theory is that the high copper levels in the molasses help to stimulate melanin production and re-pigment the hair. Success has been reported in as little as two to three weeks after beginning the regimen. While blackstrap molasses does contain more minerals than ordinary table sugar, it is still a high-calorie simple sugar, which can produce a blood sugar spike. Like all sugars, it should be used in moderation, in conjunction with a healthy diet. When purchasing blackstrap molasses, be sure to look for products that are made of 100 percent molasses, with no added corn syrup or fillers. 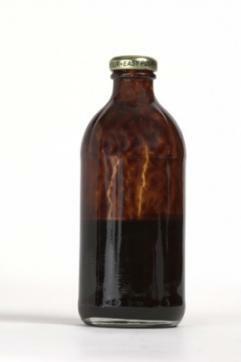 Whenever possible, look for blackstrap molasses that is unsulfured, rather than molasses made with sulfur. Sulfur is used to ripen green sugarcanes, and the excess can be found in molasses made from green sugarcanes. Look for unsulfured molasses whenever possible to avoid potential health concerns from ingesting sulfur. Using blackstrap molasses in place of ordinary sugar can be a natural way to help increase your intake of vitamins and minerals on an everyday basis. If you suspect that you suffer from anemia or another health condition, make sure you speak to your doctor before beginning a regiment of blackstrap molasses. 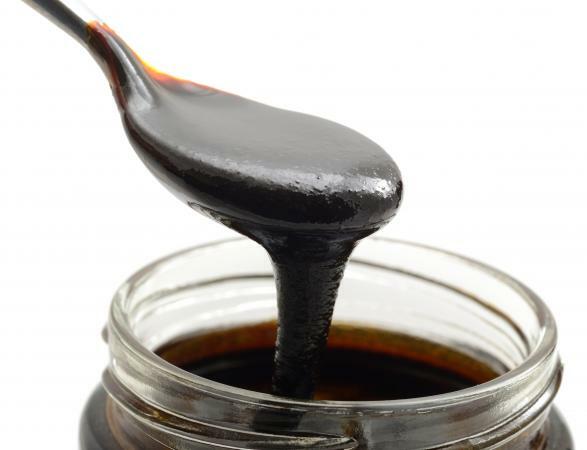 Add blackstrap molasses to your normal healthy diet to see what benefits it may bring to you.